Victoria-based Barnacle Systems announced as one of Douglas Magazine’s 10 to Watch. Barnacle Systems’ product, BRNKL (pronounced barnacle), is like a “home security system for your boat” allowing users to check on their vessel remotely from their smartphone, tablet, or computer. 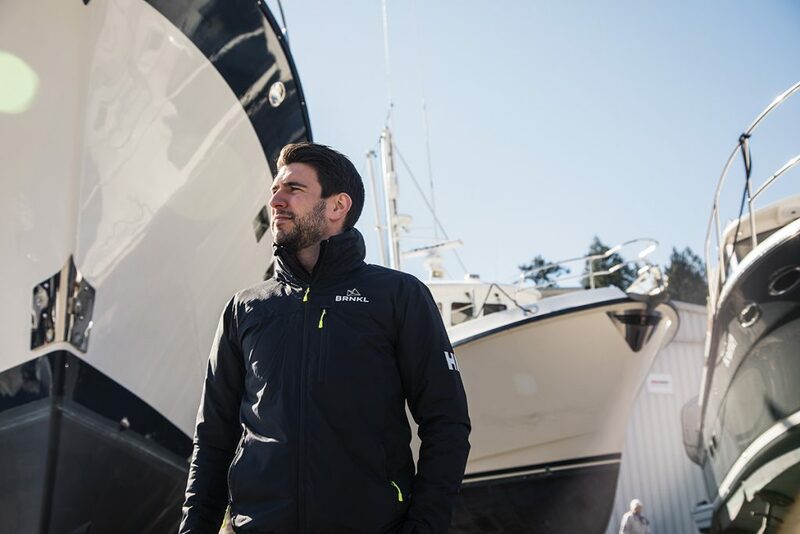 With an onboard camera for security and built-in sensors to monitor a vessel’s critical systems, Barnacle Systems is reinventing how people check on their boats. The Victoria-based company retails their product for $1095 and $1245 for their “All in One” and “External Camera” versions, respectively. BRNKL also supports accessories such as pressure mats, door sensors, and sirens for additional vessel security. The device is cellular-based and provides global coverage under their $29/mo or $300/yr subscription plans. Read the Douglas Magazine Article here. Barnacle Systems Inc. is a security and monitoring company based in Victoria, BC, Canada. The team at Barnacle has developed an innovative new product, BRNKL, for boat owners who need to be able to check in on their vessel remotely from their smartphone, tablet, or computer. Like a “home security system for your boat”, users can see inside of their vessel using an onboard camera while also monitoring critical alerts such as anchor drag, low batteries, loss of shore power and high-water. Unlike standard marine electronics that provide monitoring while on board, Barnacle Systems provides a global cellular service for remote monitoring. Whether you’re at the dock, at home, or halfway around the world your boat is at your fingertips.